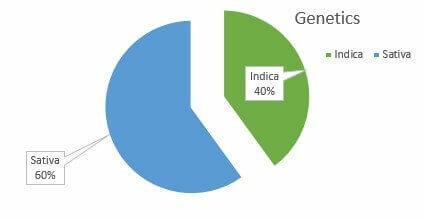 Lemon Skunk was created by DNA Genetics from two skunk lineages. It became very popular around 2009. Its signature is a deep lemony flavor. May Relieve Lemon Skunk weed is a great choice to improve symptoms of mood disorders, particularly depression and symptoms of ADHD. It can also help improve energy levels and increase appetite. 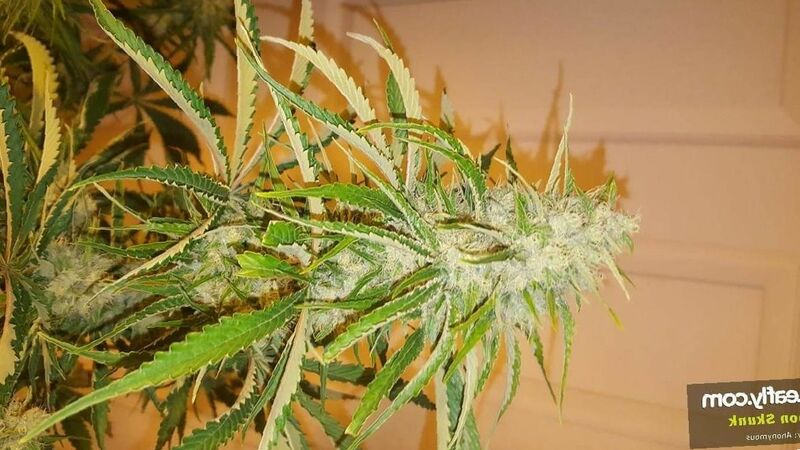 Indoor/Outdoor Yield Lemon Skunk can yield 18 ounces of citrusy weed per square meter. Outside, you can grow a yield of 28 ounces per plant of citrusy weed. Flowering time Lemon Skunk marijuana weed growing indoors will be ready to flower in eight to nine weeks. Harvest Lemon Skunk weed will flower outdoors in the early days of October. Disease resistance Lemon Skunk has high disease resistance. It is particularly well suited to survive in cooler environments. Plant Height Lemon Skunk plants are tall, growing up to 80 inches tall. Adverse effects The Lemon Skunk cannabis is a stimulating Sativa. In overdose, it can cause feelings of panic. Common adverse events include dry eyes and dry mouth. 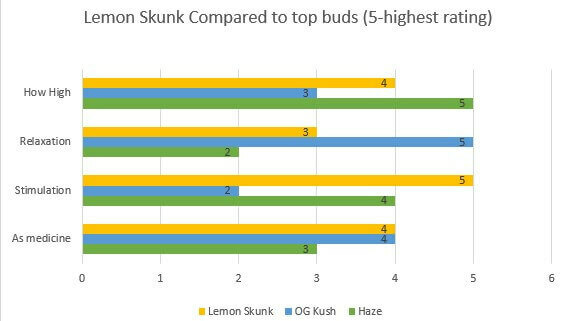 Lemon Skunk is a mix of two skunk weed varieties created by DNA Genetics. The result is an overpowering lemon scent and a stimulating Sativa. It is highly uplifting and energizing. Lemon Skunk is a tall plant, growing to about 80 inches tall. It has a light-green tinge to the buds and leaves, with bright orange pistils swirling around the buds. It has a light spattering of powdery trichomes. Dried and cured, the nuggets are sticky and fragrant. The fragrance of Lemon Skunk is a strong earthy, pine, and lemon. It can really fill a room even before a match is lit. There are also hints of spice and ginger. The inhale is a mouthful but not overly irritating. It will cause your eyes and mouth to water and quickly dispel any hint of nausea, just like a sour lemon. Growing weed from Lemon Skunk cannabis seeds or cuttings is an easy endeavor according to cultivators. You can grow this strain indoors with the usual tent set-up. You can set up a grow room in a tent to control air and light most directly. Place reflective lining on the inside of your tent to harness the lamp light. Use high discharge lamps placed strategically around your plants to get the best result. You can use a fan and exhaust system to keep the air clean, crisp, dry, and circulating. You can also use an air filter to get rid of any contaminants which could affect your plants. Indoors, you can expect to come away with eighteen ounces of lemony weed per square meter of growing space. Now, you’re ready to harvest, dry, and cure. Outdoors, this strain will grow in a slightly cooler environment than most strains. It is a strong and hearty plant which will need minimal attention once placed in a mild, dry, rich, spot which gets plenty of sunlight. You can come away with 28 ounces of citrusy weed for each plant, and considerable yield. 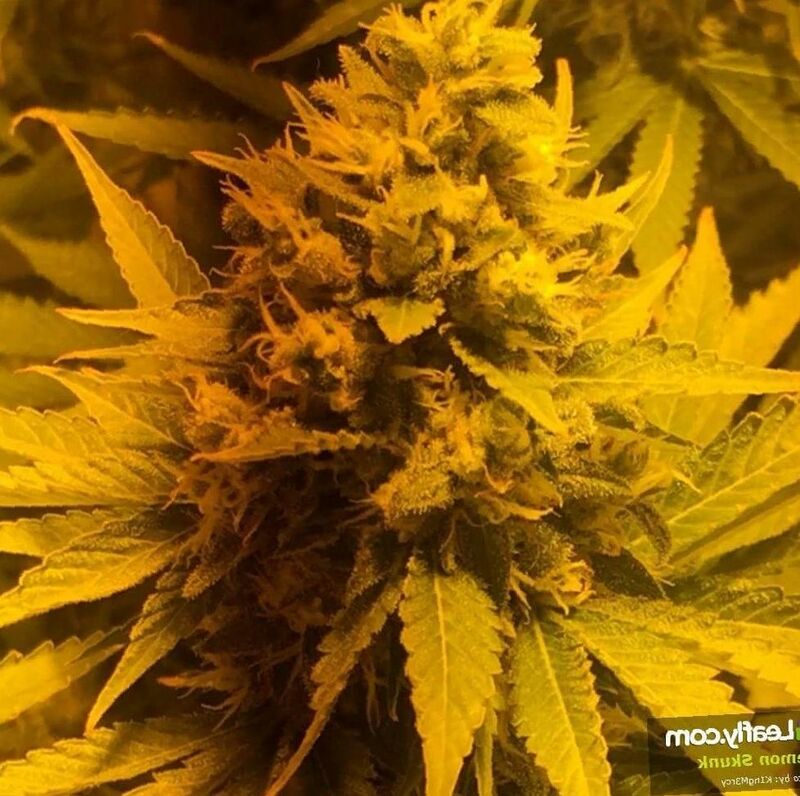 Lemon Skunk is a stimulating Sativa which can give you energy and a brighter view of things. 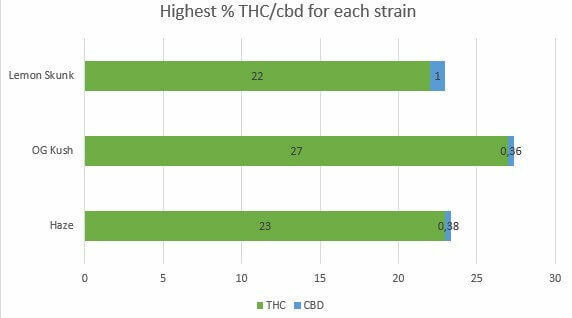 It can have THC levels up to 22 percent. The energizing nature of Lemon Skunk makes it a great choice as a mood-brightener. It can help in cases of depression, anxiety, and symptoms of adult ADHD and other mood disorders. Having a toke of this refreshing weed may be a good way to switch gears after a stressful day of work, rather than resorting to alcohol or other drugs or medications with harsher health effects. This weed can also be taken in the form of an edible. This will extend the effect and cut down on the stimulation to prevent the side effect of panic. Lemon Skunk is a weed which can be used for pain without the lethargy and day-stopping couchlock associated with more relaxing strains. You can use Lemon Skunk to address cases of headache and migraine and you will still be able to engage in some active activities. Which talents you will still possess under the influence depends on the person, while of course, operating heavy machinery is ill advised for anyone. Creative pursuits are often most open to improvement during using weed to address pain. You can often come up with new ideas and see things from new perspectives while smoking Lemon Skunk. You can also use this weed to address back pain and muscle cramps which may impede your ability to comfortably engage in active activities or work. Lemon Skunk is especially good for nausea. It is a smokable way to get relief from serious nausea as may occur as the result of chemotherapy for cancer or serious autoimmune diseases. The lemony scent will go to work as soon as you open the bag to fight nausea. When you smoke it, the first few hits will immediately reduce nausea and as you continue, you will forget there is any such thing. This can allow those undergoing chemotherapy or radiation to be able to eat and gain weight. It can also help those with cyclical vomiting syndrome and other disorders of nausea and/or vomiting. Lemon Skunk often appears in medical form with about 20 % THC. These varieties produce a good balance of flavor and THC punch. 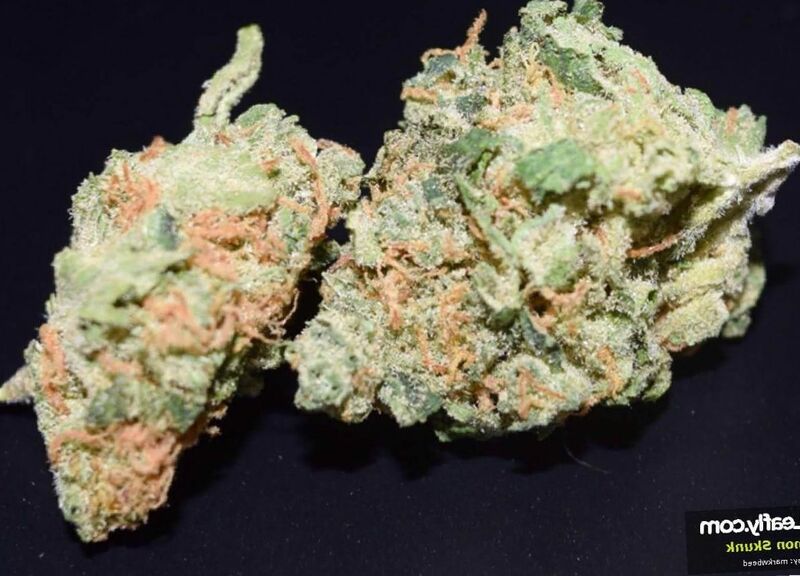 Lemon Skunk is a skunky Sativa which is uplifting and energizing. It will get your thinker going. You will be able to continue to be active. It’s a good weed for a social occasion or for creative collaboration. Musicians may often imbibe while brainstorming on some musical tracks. It can really give you a new perspective on the work at hand. It can also give you an uncanny ability to hear sounds that you could not otherwise hear. You will hear strange things going on deep in the background of the music and these are not hallucinations. They are actual notes that the conscious mind will tend to miss when completely sober but that the unconscious mind responds to. But under the influence, one can hear them consciously and even manipulate them to get the effects wanted. When it comes to visual art, Lemon Skunk can allow the user to see things that they normally would not see in painting and other forms. Often, users will joke that they see a little man hiding in the work. In fact, this may be an actual feature of the work that most people feel unconsciously, but that one only can bring into consciousness when under the influence of a perspective altering substance such as marijuana. This ability can also work for one when creating visual forms of art. You are able to paint or design from an area in the unconscious which is normally not reachable during waking consciousness. You are able to access more of the dream realm and also have selective memory of altered states of consciousness which have occurred throughout life but also seemingly in another lifetime or in another dimension. There is a full history of experiences that you can only recall when in this state, but you can borrow from that state and put it into the current work when you have the charmed inspiration that comes from experimenting with a stimulating weed including the pungent Lemon Skunk. Others will appreciate your insights and if they are smoking on the same thing, sometimes you will each have the same unique realizations and the ability to see from the same perspective as if having the same dream.